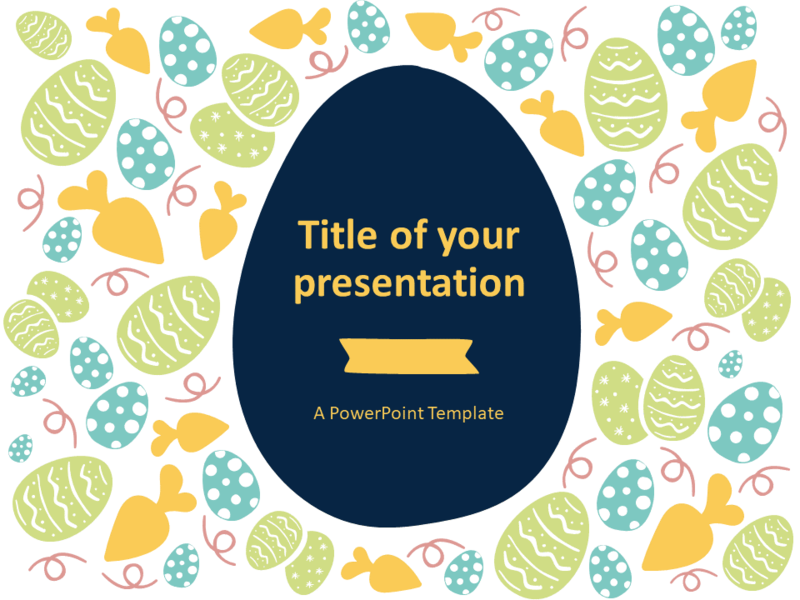 Free Easter PowerPoint template. 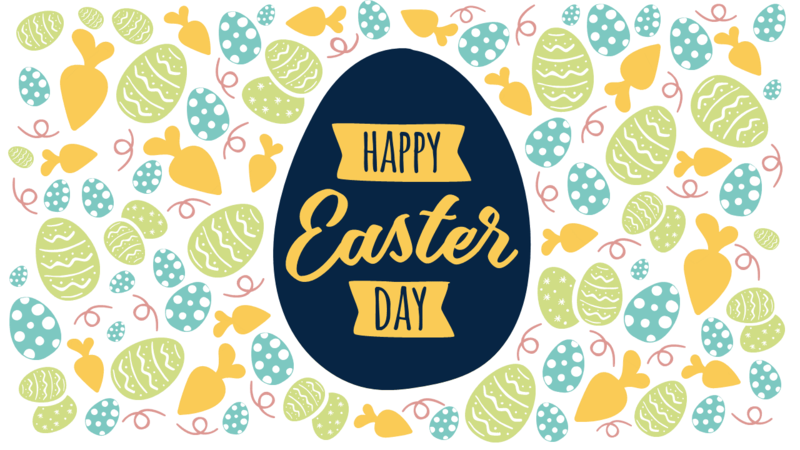 Pattern background with hand-drawn eggs in different styles and pastel colors. 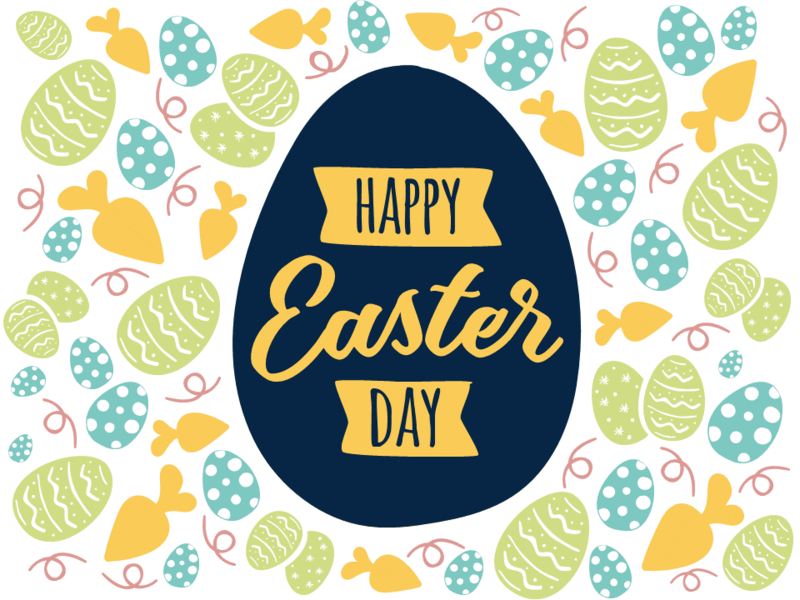 Big dark-blue egg in the middle, for the title and text with a yellow ribbon. 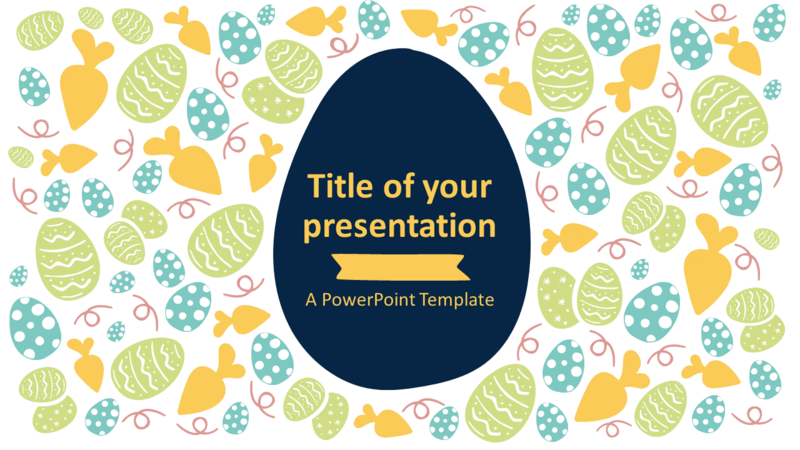 Use this template for a presentation about the Easter celebration, or just to send Happy Easter messages. 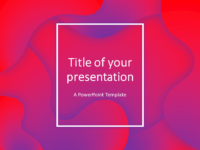 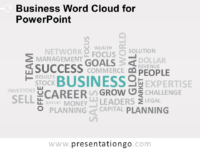 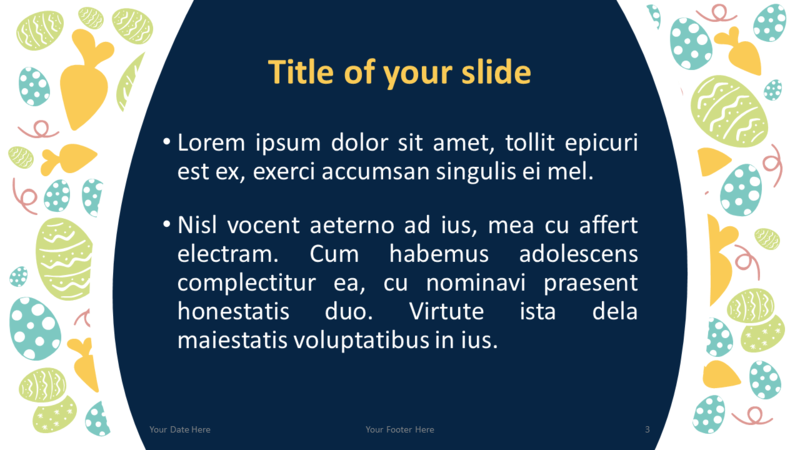 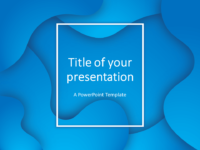 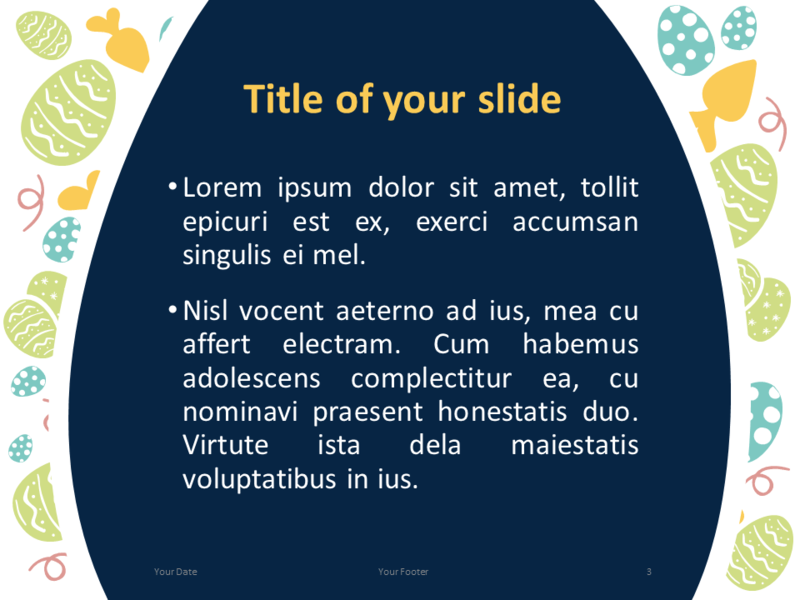 The PowerPoint template theme (.POTX) contains three (3) master slide layouts: title slide, title and content, and for the pre-designed “Happy Easter Day” greeting slide.